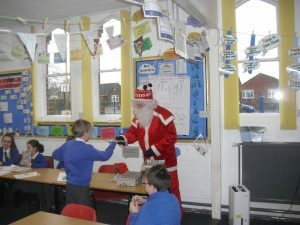 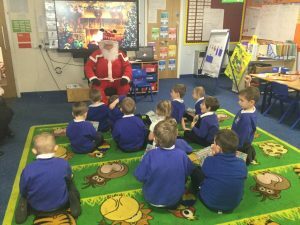 On Wednesday 13th December a very special visitor came to Fishtoft Academy to visit each class. 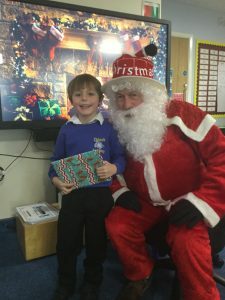 Santa was able to spare some of his valuable time to see our fantastic children. 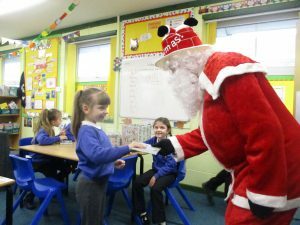 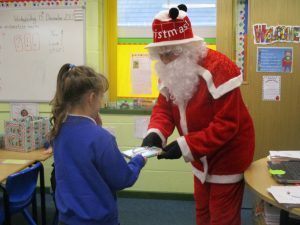 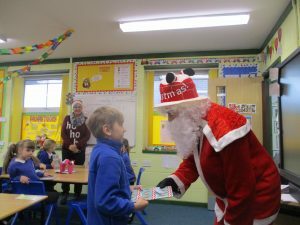 He helped deliver presents that have been bought for each child from money raised at the Summer Fair. 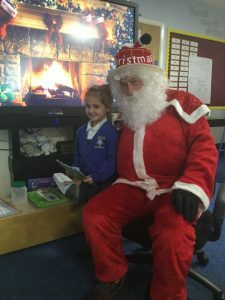 It was great to meet such a special man and the children were excited, grateful and pleased to hear that he has enjoyed reading their letters.